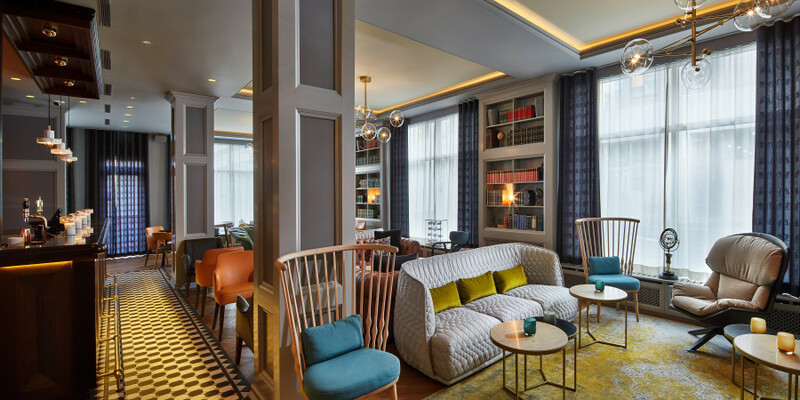 The interiors of the hotel pay tribute to the historical grandeur of Consul Ditlev Thomsen, the owner of the great department store Thomsen Magasin. Thomsen welcomed the first foreign dignitaries in the 19th Century, establishing a legacy of international hospitality in Iceland. The history of the Thomsen family echoes throughout the hotel, starting with the welcome gift on arrival and the timeless, black and white photography in the classy guest rooms. Our boutique rooms and suites are designed with a cosmopolitan flair, eclectic vintage charm and your comfort in mind. They evoke a welcoming ambiance offering the conveniences of today. Explore our stylish options and choose the space that’s right for you. The Reykjavik Konsulat Hotel, Curio Collection by Hilton, is situated in the oldest part of Reykjavík at the junction of Icelandic history and style. GOTT Reykjavík is a rosy-cheeked, creative restaurant. Where healthy and flavorful food is made from scratch, using local purveyors and wholesome ingredients. 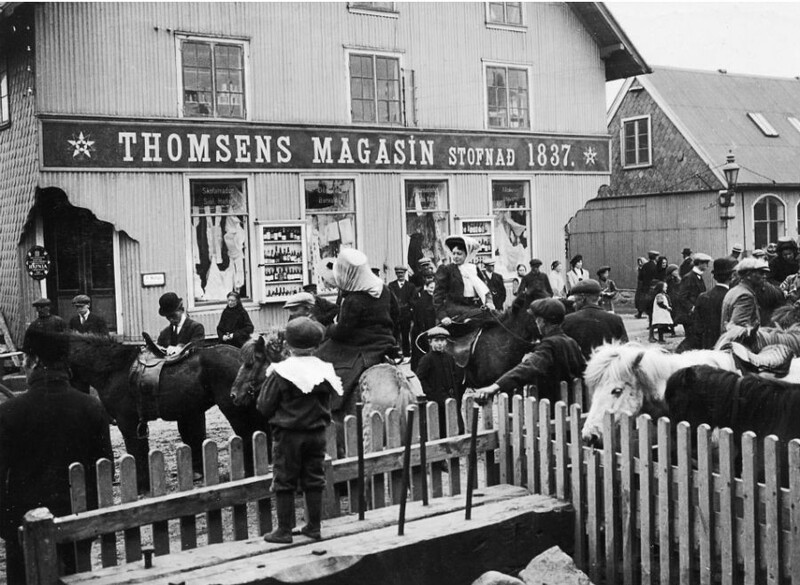 Following the death of his father in 1899, Ditlev Thomsen took the reins of the family enterprise and so began the most flourishing chapter in the history of Thomsen’s Department Stores. 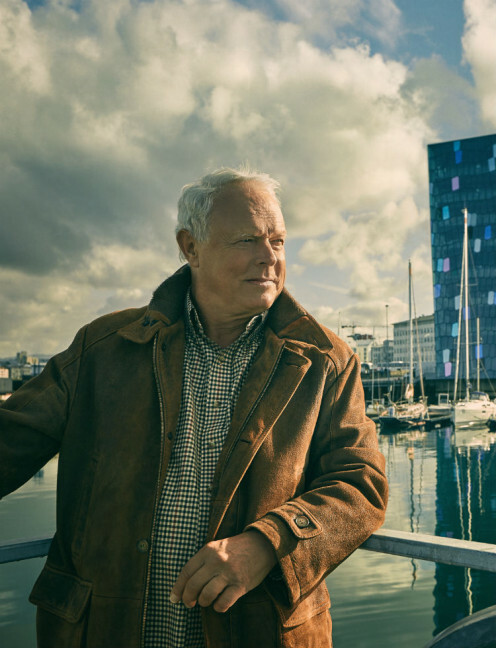 At Reykjavik Konsulat we give you the story of Consul Thomsen and his family as well as modern day storytelling with our special curators, who give intriguing insights with their personal perspectives on Reykjavik. - Curio Collection by Hilton, is situated in the oldest part of Reykjavík at the junction of Icelandic history and style. - The Harp, music and conference center. Special Architecture, design and lighting in an endless engagement with the environment. - The Parliament. Home of the oldest parliament in the world. Established 930 at Þingvellir. - The first bar in the city to focus on fresh, high-quality cocktails and famous for their perfect to share dishes. - Sculpture Garden. A wonderful museum and garden. The museum was the home and studio of Iceland's first sculptor, Einar Jónsson. -  A culinary experience that is chic and colourful like the characters of downtown Reykjavík. - It‘s been open since 1937 and the majority of Icelanders have eaten at Bæjarins beztu hot dog stand. - Hafnarhúsið offers a progressive exhibition program with local and international contemporary artists. The work of current notables, art canons and newcomers are presented in six galleries. - At 74.5 metres high, it is the largest church in Iceland and among the tallest structures in Iceland built in a expressionist architectural style. - The oldest public baths in Iceland. Designed by the noted architect Guðjón Samúelsson and opened in 1937.A new outdoor pool opened in november 2017.